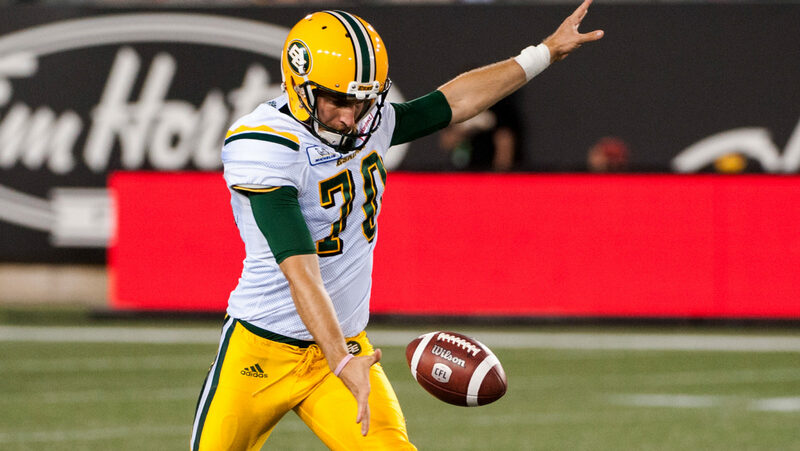 EDMONTON — The Edmonton Eskimos have re-signed national kicker Hugh O’Neill through the 2020 season, the team announced on Thursday. O’Neill was set to become a free agent next month. O’Neill spent the 2018 season as a member of the Green and Gold where he appeared in all 18 games recording 107 punts for 4,832 yards and three singles as well as 84 kickoffs for 5,167 yards and five special teams tackles. He has appeared in 62 career games for the Eskimos, Tiger-Cats, and Lions converting 44 – 60 field goals, 62 – 66 converts, 299 times punts for 13,264 yards, and 157 kickoffs for 9,430 yards.